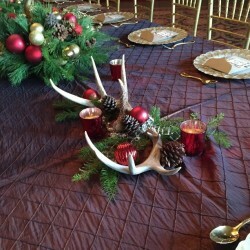 We always love learning about new trends and ideas beyond just the decor. 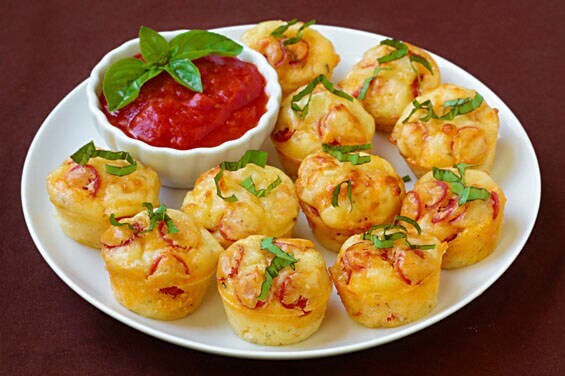 This below article shares some easy and fun ideas for birthday party foods. 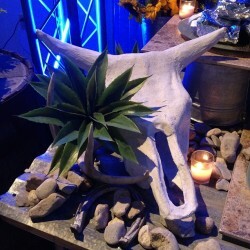 Check out more info and inspirational ideas from our guest blogger at wishesquotes.com. Kids love their birthdays and birthday wishes, even if they don’t know what it means. For a child, a birthday means presents, friends, games, good food and a gala time. As parents, the task of throwing a fantastic birthday party can seem challenging, yet exciting if you plan everything right. A birthday is incomplete without an enormous healthy cake and lots of memories to cherish. If you are planning to throw a party which is memorable yet economical, we have a few toothsome items that you can have on the birthday menu. It’s time to get those notepads and planners out and scribble away for your little one’s next birthday bash. For the invites, you can even go green and make digital or e-invites, thereby teaching a valuable lesson to your child. When it comes to the party favors, go simple and try to stay away from giving chocolates or sweets. Deciding on a menu for your kid’s birthday party can be hard. But with these easy-to-make delicious treats, you will be considered as the best party organizer in your town. Make everyone’s life easier, by not providing cutlery but instead serving them finger foods which kids will definitely enjoy eating while playing. 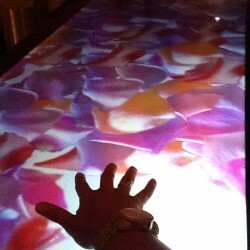 You can serve them finger sandwiches with different fillings which can be held between two fingers. If you are having an afternoon lunch party, you can even have some salads, starters, and the main course. If you are having a big party for your little champ, then it is advisable to call for a caterer to ensure everything is standardized and you are not slogging away in the kitchen. Also, here are some options for drinks and foods for your kid’s birthday party that you may choose from. 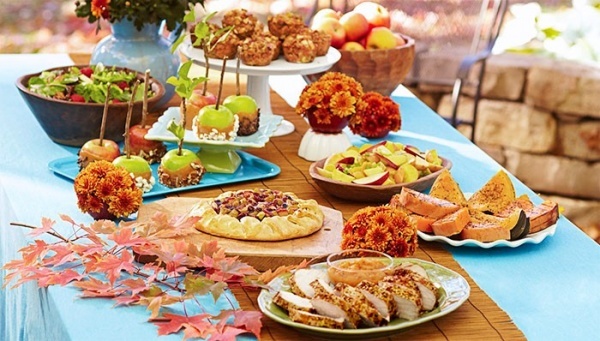 With a little planning, creativity, and forethought, you can create simple, enjoyable, party foods that will save you time, please your little ones and make the party a hit. 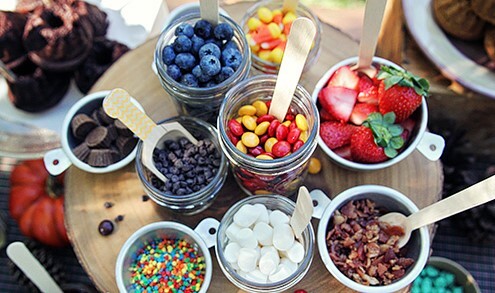 Here are eleven party food and dessert ideas that take into consideration all of the above, but most importantly, are sure to be kid-pleasers. Michele Gwynn, from San Antonio, Texas, suggests keeping it simple when kids are involved. Chopped up vegetables like carrots, celery, broccoli, and tomatoes are often a hit at birthday parties. 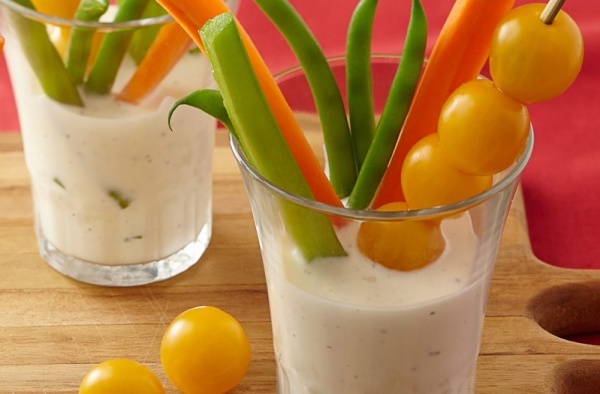 Pair the veggies with dips like peanut butter, which is yummy and offers healthy protein. Or try a cucumber yogurt dip for another healthy alternative. 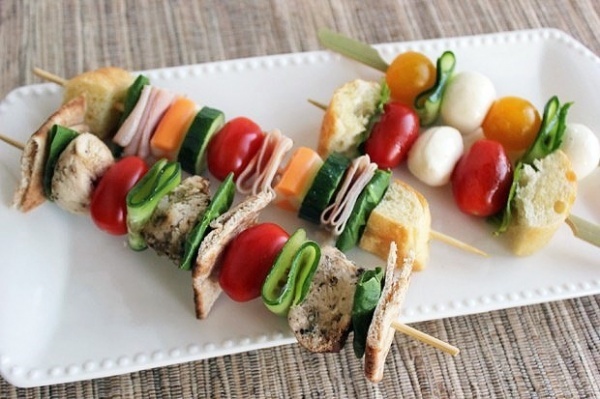 Assemble little kabobs for your guests. You can make them ahead of time and this presentation never fails to please. 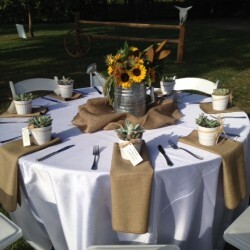 Depending on the age of your guests, you can use skewers, coffee stirrers or popsicle sticks. Try these skewer ideas from Gina at Skinny taste, which include combinations like ham and cheese and shrimp, tomato and cucumber. Assemble mini fruit kabobs for a sweet snack. 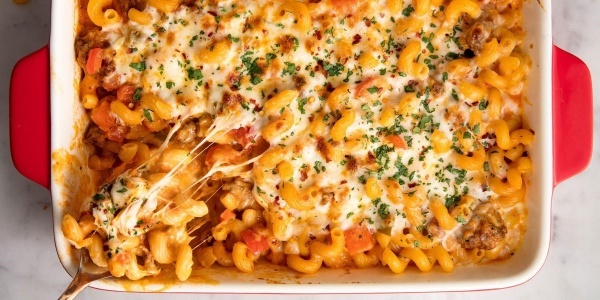 A great dish and no-fail crowd pleaser, mac and cheese can be made into a healthy kids’ party dish by using “whole wheat elbow macaroni, freshly grated cheddar cheese, low calorie, and low sodium butter and skim milk,” says Gwynn. Is your little one a pizza fanatic? Try this recipe from Plain Chicken for an easy, fast and simple to clean-up dish. This twist on the old favorite makes pizza more fun (if that’s even possible!). These are always popular with kiddies, but this greasy fried food isn’t the best thing for their bodies. 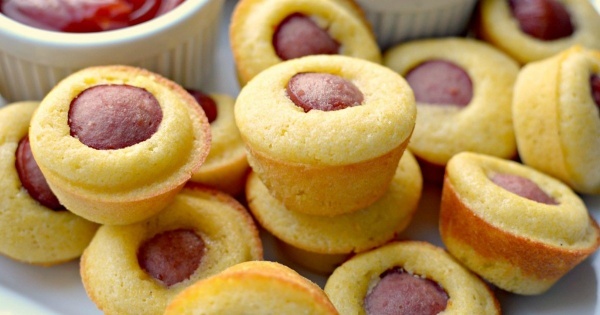 Try this inventive spin on the tried-and-true corn dog by making them into muffins with this recipe from Laura at Heavenly Homemakers. If you are looking for healthier alternatives, turkey sausage makes a great substitution. Looking for a more unique approach to the normal finger sandwiches? 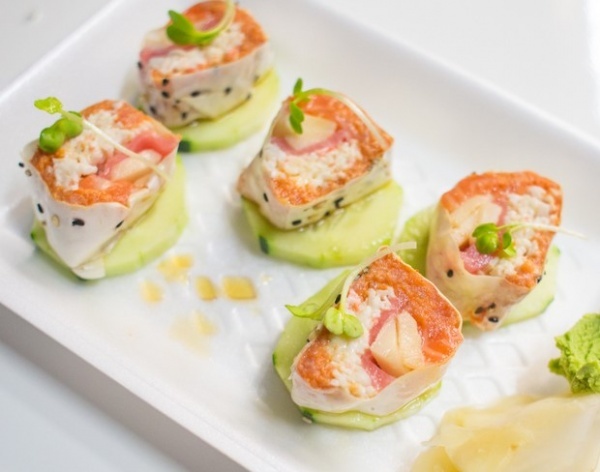 Get inventive with these deli sushi rolls from Tanya at Mommy Goggles. Roll up your ingredients into whole wheat white bread and provide some ranch or soy sauce for dipping. You may want to avoid the chopsticks, though! Cut down on your cooking time by buttering and toasting your bread before the party starts. 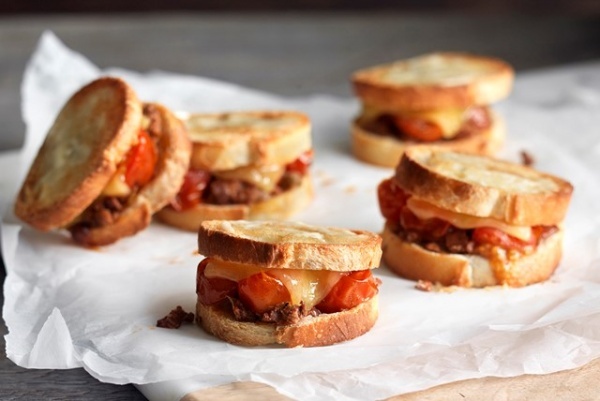 When the kids arrive, simply place some cheese on the bread (butter-side out) and pop the sandwiches in the oven for a few minutes to melt the cheese. Instead of the traditional cake, try having “Decorate a Cake Pop” or “Birthday Muffin Contest.” You can provide lots of decorating products, like colorful icing and sprinkles. Give the children bibs and have the parents work side by side with their kids. If you are trying to stay away from ice cream, Amy Roskelley at Super Healthy Kids recommends swapping out the traditional sundaes for Rice Dream Sundaes. This option is a healthy alternative that she uses in her own home instead of ice cream. 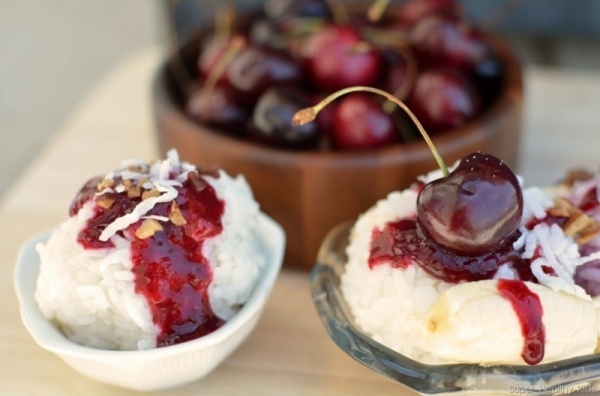 Roskelley says that it’s “not hard at all” to convince the kiddos to eat this sweet dessert rice. However, she cautions that if you promise ice cream and deliver a delicious serving of this dessert rice instead, “the battle” may ensue. 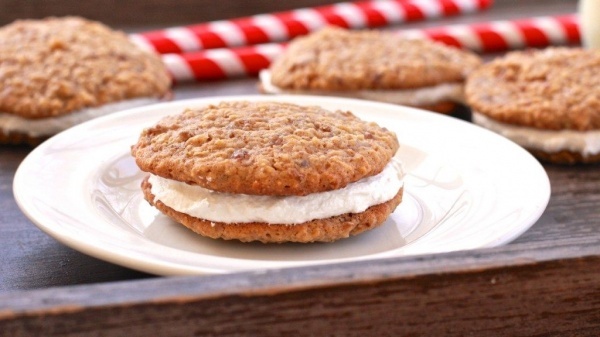 Try these homemade oatmeal cream pies from Baked Perfection. They are the perfect birthday treats. They may be a little messy, but they are sure to be a hit with kids. And the white filling is a lot easier to get out of clothing than colored frosting. Instead of a traditional caramel apple, slice apples into chunks, remove the seeds and place them on sticks. Then dip the apple slices into caramel and drizzle with chocolate sauce.